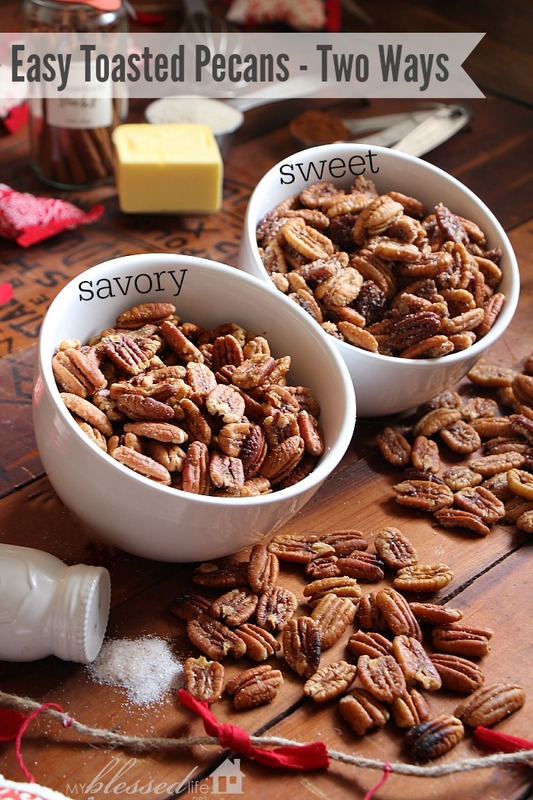 I’m so happy to share this quick and easy recipe for toasted pecans. This recipe has been made around the holidays by my family for decades. I remember Memaw making these when I was little. She usually had them in a candy dish for us to nibble out of. Good memories. Preheat oven to 300 degrees. In a skillet, melt the butter over medium-high heat. Mix sugar and cinnamon in a small bowl. Add to the butter and stir until sugar is mostly dissolved. Add pecans and cook until warm and covered in butter. The sugar mixture won’t completely cover the pecans. This is okay. The sugary bits are delicious too! ðŸ™‚ Spread pecans over a large baking sheet and toast 10-15 minutes. Remove from oven and place pecans on paper towels. 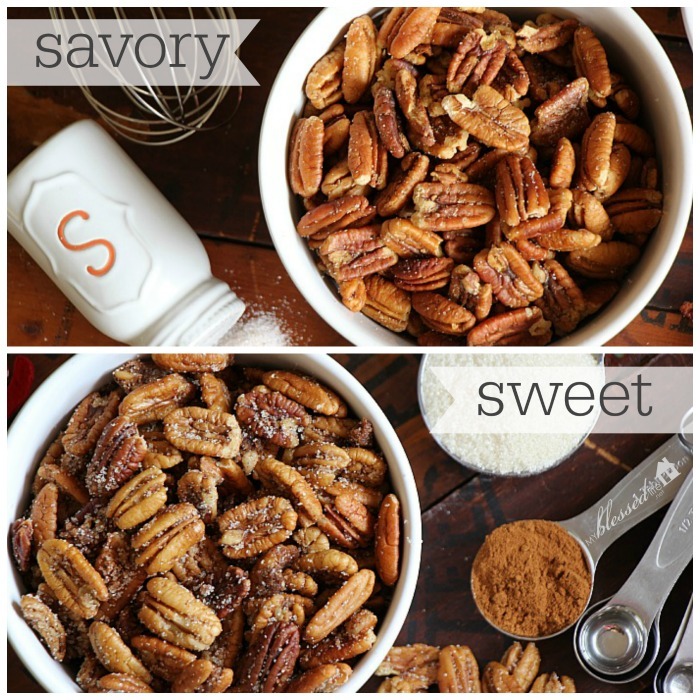 While pecans are hot, sprinkle generously with sugar. Enjoy! There’s serious yum here, folks. Serious YUM! 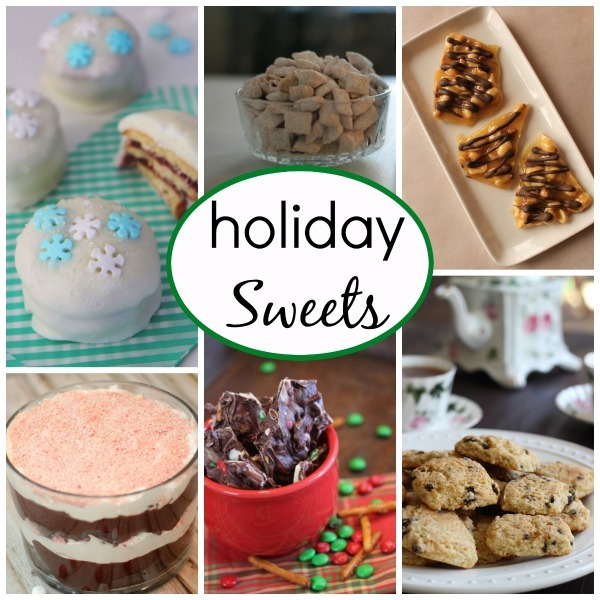 I’ve partnered up with some of my blogging buddies who I’ve known for years to bring you some of the most delicious Holiday Sweets & Savory Treats! I know you will be hugely inspired to get your baking and cooking on! Check out the links below. Have you ever made Toasted Pecans before? What’s your favorite Holiday treat? These look amazing! Luke was just asking me to make toasted pecans! Oooh! I love that you gave us two options. ðŸ™‚ Just might have to give these a try this year. Thanks for sharing. Pecans are one of my favorite snacks. I’d like to try them this way. A handful of pecans and your favorite TV show is a great way to relax! 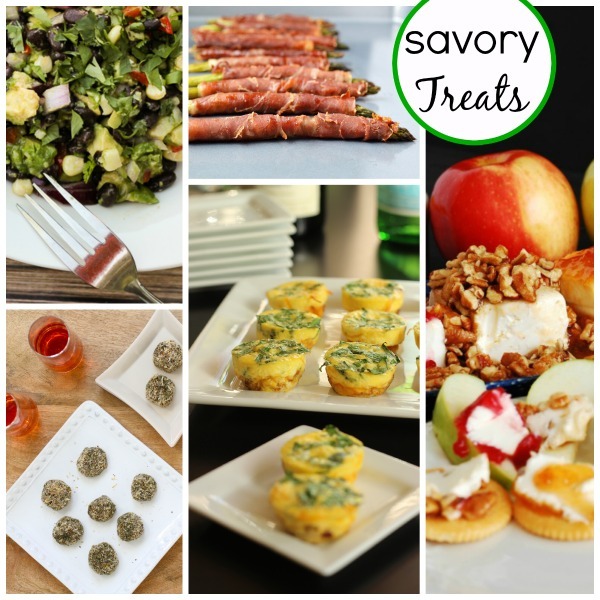 I love to give food gifts this time of year and these would be perfect for that. Your two different versions sound so good! Loved this Myra! We just had our toasted pecan grilled cheese last week. I bet we’d go loco nibbling out this toasted pecans too! ive made these before and the nuts were not so crunchy. Any tips? Was making these and discovered I was out of cinnamon, how this happened is beyond me! So I grabbed the pumpkin pie spice and WOW these are delicious! Especially good for all those pumpkin spice lovers…. Love pecans and having different recipes for gift giving! Thanks for sharing.